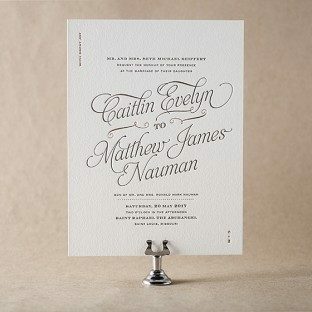 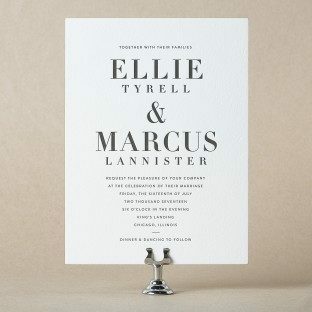 As thrilling as the final ascent of some as-yet-unclimbed summit, yet as warm and lovely as the clinging hug of a toddler - Viceroy letterpress wedding invitations are just that curiously fantastic. Simple and contemporary with a rich, luxurious edge, this design from Jessica Tierney is perfect for glamorous weddings of uncompromising detail. 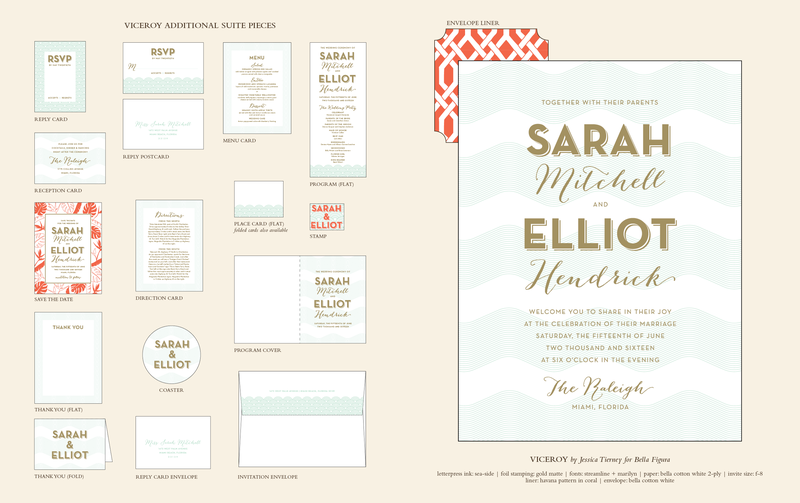 View additional pieces in the Viceroy sample suite. 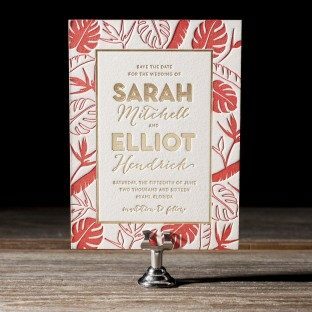 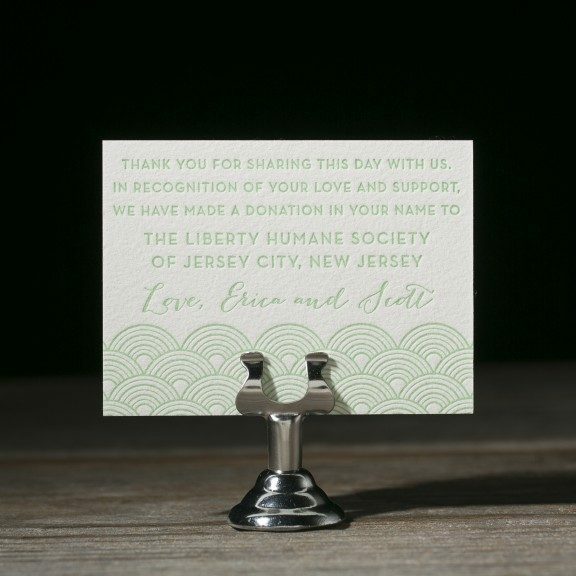 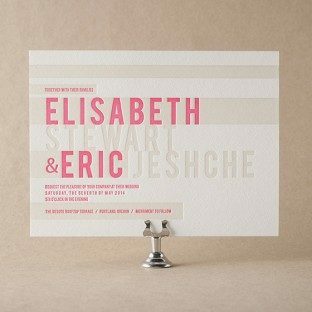 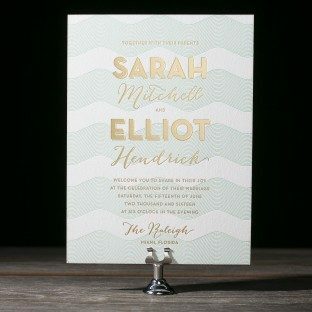 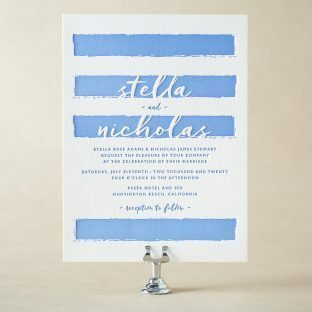 Scott and Erica took advantage of our free favor card promotion and letterpress printed their Viceroy favor cards in sea-side ink. 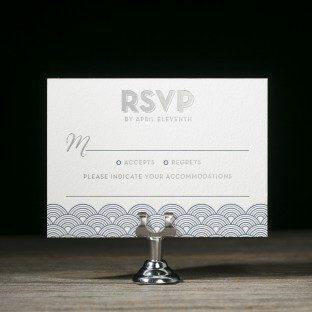 These silver matte foil + navy Viceroy reply cards give guests the opportunity to share their accommodation arrangements. 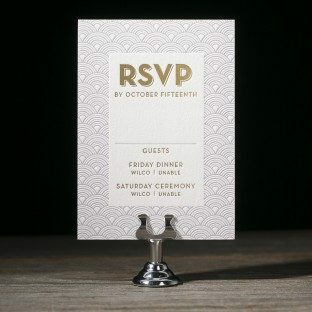 These Viceroy reply cards were printed in gold matte foil + lavender ink. 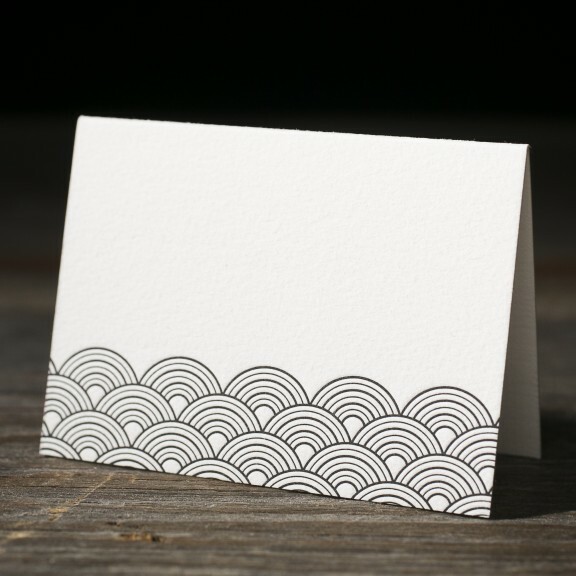 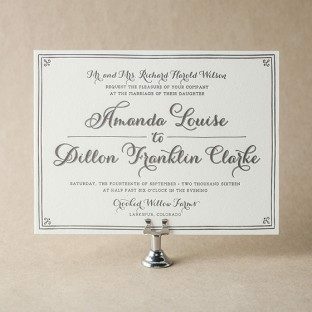 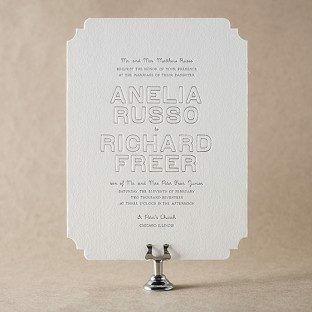 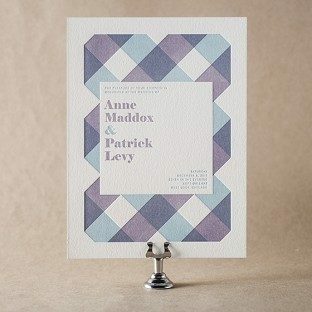 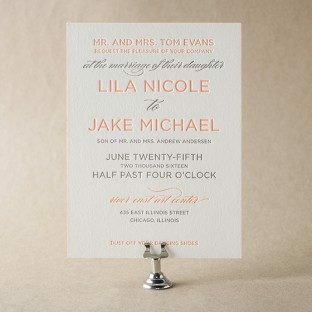 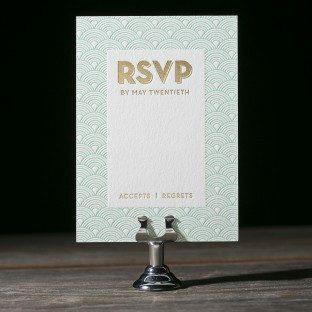 The cards give guests the opportunity to reply to both the ceremony and reception. Sand, Surf and Black letterpress inks make for a modern color palette on these Viceroy folded placecards that feature the couples initials. 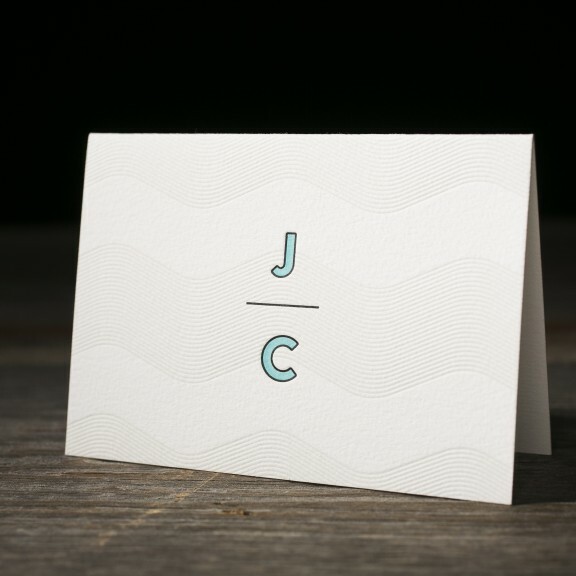 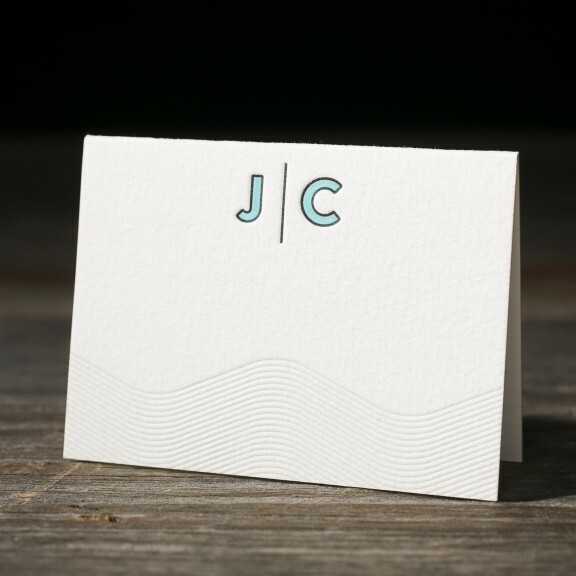 Sand, surf and black letterpress inks make for a modern color palette on these Viceroy folded thank you notes that feature the couples initials. Printed in Black letterpress ink, these Viceroy folded place cards are a stylish way to carry your stationery design throughout your wedding while directing guests to their seats for dinner.